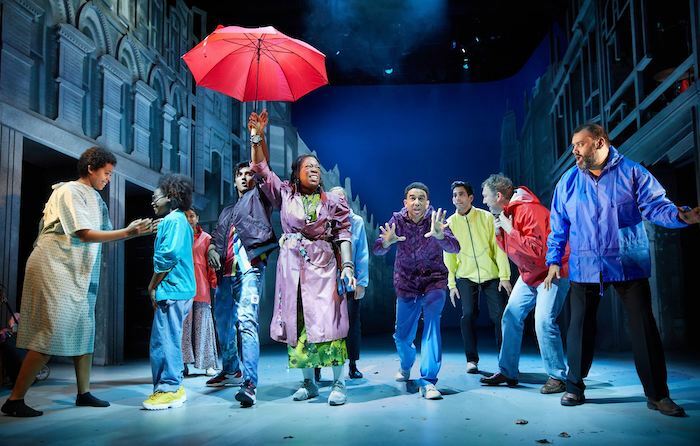 A few protestors might be doggedly hanging on outside the Kiln (was Tricycle) Theatre, but their complaints are firmly refuted by its current show: a vibrant adaptation of Zadie Smith’s award-winning novel that is not just about but firmly rooted in the diverse, complex “melting pot” of north-west London. This entry was posted in Journalism, Theatre and tagged adaptation, book tickets, broadwayworld, daughter, family, immigrant, Indhu Rubasingham, kilburn, kiln theatre, london, mother, music, north west london, novel, play, race, review, simon sharkey, songs, theatre, west hampstead, white teeth, zadie smith. Bookmark the permalink.